Alexandra Headland is the perfect location for your next weekend escape. Idyllically situated between Maroochydore and Mooloolaba, with its own beautiful long stretch of pristine beach, fringed with parklands and an epic walking track up to the headland, Alexandra Headland should be your next Sunshine Coast Holiday destination. Arrive at Alexandra Headland and check into your holiday apartment at The Mirage Alex and get acquainted with your beautifully appointed accommodation and the resort style facilities at the complex. Spend the afternoon relaxing around the lagoon-style swimming pool surrounded by lush tropical gardens, dipping in and out of the pool. If you’re feeling more energetic shoot a few hoops at the half-size Basketball Court or hire a couple of tennis racquets and have a game of tennis on the full-size Tennis Court. 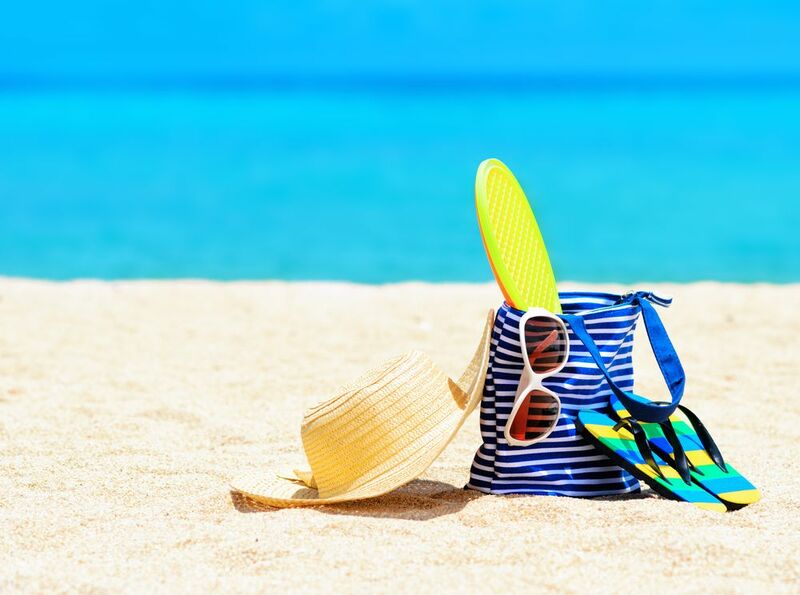 If you’re more of a beach person hire a boogie board and beach towel from reception and head over to Alexandra Headland Beach, located only 50 metres away. Catch a few waves, sunbake on the sandy beach and soak up some Sunshine Coast sun, before returning to your apartment to get ready for a night out. Walk across to Alexandra Headland Surf Club, affectionately referred to The Alex Surf Club and enjoy a few drinks on the The Bluff Bar balcony with gorgeous views over the beach. Stay for dinner at The Alex Surf Club Bistro and then enjoy live music late into the night provided on Friday, Saturday and Sunday afternoon. See The Mirage Alex Dining & Nightlife page for more suggestions. Wake up early and head off on a walk along the oceanfront walkway to either Maroochydore to the north or Mooloolaba to the south. Take in the majestic views from the headland and once you get to Mooloolaba stop for a heart-starting cup of coffee at one of the cafes lining Mooloolaba esplanade. Return to your apartment for a shower and breakfast and then head off to Eumundi Markets held every Saturday or Wednesday. Eumundi Markets are the biggest and best markets on the Sunshine Coast and boast a huge array of fresh produce, arts and crafts, live entertainment, clothing, jewellery, homewares and giftwares. You will be able to shop until you drop! Have lunch here and then head up to Noosa. Stop in Hastings Street and take in the great vibe of this thriving resort town, take a swim or surf at Main Beach and if you’re feeling up to it, walk around Noosa National Park walking track. Return to Alexandra Headland and jump on a two hour scenic Mooloolaba Sunset Cruise. The cruise picks you up from the Wharf Mooloolaba, takes you out to the river mouth first to enjoy sensational, scenic views right down to Noosa. Stops next at the local Mooloolaba fish markets and then continues on a nice leisurely cruise down through the bottom section of the Mooloolah River, Harbour and Canals. Wake up early and grab a quick surf or swim before breakfast. Eat out for breakfast at one of the numerous cafes or coffee shops in Alexandra Headland or Mooloolaba. We can recommend The Attic, Black Bunny Kitchen or Milk & Beans Coffee House. Explore SEALIFE Mooloolaba and marvel at the abundant marine life, exhibits, shows and presentations. It’s Queensland’s largest aquarium and oceanarium with one of the hugest and most diverse arrays of marine life – both above and under the water – on display in Australia! A Dolphin Discovery Cruise where dolphins cruise alongside the boat whilst you dine on a sumptuous buffet lunch. This two hour cruise through Mooloolaba’s waters heads out into the open water in search of dolphins, turtles and other marine species. A visit to The Ginger Factory at Yandina offers fun rides, fascinating tours, a unique retail precinct and cafe surrounded by beautiful sub-tropical gardens for all to enjoy. For more information and bookings for Sunshine Coast Tours & Attractions visit our website or ask our friendly reception staff to make arrangements for you.